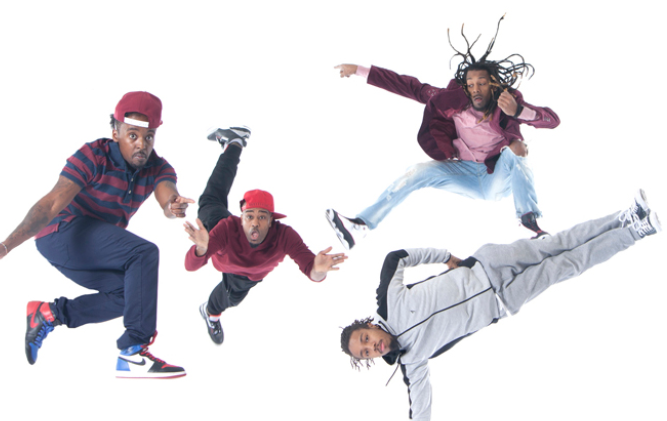 Pushing the boundaries of street dance vocabulary, Funkedified challenges stereotypes and invites the audience to view hip-hop through a new lens. This multimedia work celebrates the funk music and street dance of the 1970s and is set against the landscape of a video montage of African American communities of that era. Inspired by the political turmoil and atmosphere of Rennie Harris’ childhood, Rennie Harris Funkedified will be performed by dancers from Rennie Harris Puremovement; The Hood Lockers, one of the most seminal locking groups since Don Campbell and The Campbell Lock Dancers; and LA’s own Versa-Style Dance Company. A live funk band will pay homage to the music of such funk legends such as James Brown, George Clinton and Roger Troutman, to name a few.